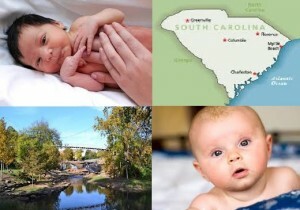 Nightlight® Christian Adoptions is licensed by the South Carolina Department of Social Services to select suitable families for children needing adoption. The selection of adoptive parents is based on their eligibility to meet state and agency requirements, foreign country requirements (if applicable), their capacity for adoptive parenthood, and the availability of children whose needs they can meet. Nightlight can perform Agency Adoptions for families living anywhere in the United States. Please refer to the “Domestic Adoption Services Agreement” in the Domestic Application PDF for details regarding the types of domestic services available. None; however, birthmothers tend to prefer families in their 30’s or early 40’s. Adoptive applicants are encouraged to have been married long enough to provide the couple sufficient time to establish a home, financial security, and to adjust to the marriage as well as to each other. Married applicants must have a satisfying and secure marriage. Single parents are eligible to adopt if they meet the qualifications of a stable home environment, financial security and have a strong support network of family and friends. However, few birthmothers will choose single parents when married couples are available. Our goal is to prepare you to be the best parents possible for your child. Therefore, we require classes and reading pertaining to parenting skills and adoption issues. In order to have adequate time for attachment and bonding, it is important to have a minimum of one year with the child/ren in the home before beginning placement of another child in the home. Please take this into consideration when starting the adoption process. We would love to see you at one of our free information seminars! These seminars are an excellent way to have your preliminary questions answered, get to know the Nightlight staff and meet other families beginning the adoption process. Seminars are held every 2 months. Call the office for more information and to RSVP for an upcoming seminar. Read our Domestic Adoption Booklet found on the Domestic Adoption page and sign the Domestic Agreement w/ fee schedule. Once we receive your Application paperwork, we will send you the orientation packet, which contains the necessary paperwork to get started on your adoption journey. Please read the information provided and FAQs before submitting your application. If you have questions, contact Nichole Chase, Domestic Adoption Coordinator, by phone at (864) 268-0570 or by e-mail at Nichole.Chase@nightlight.org.